The McCall Street Historic District is a large, mostly residential, neighborhood consisting of primarily turn of the 20th Century properties. It is located southeast of Waukesha's commercial district and it is bounded on the west by Carroll University. The district is comprised of mostly single family dwellings, some of the larger houses have been converted to apartments. 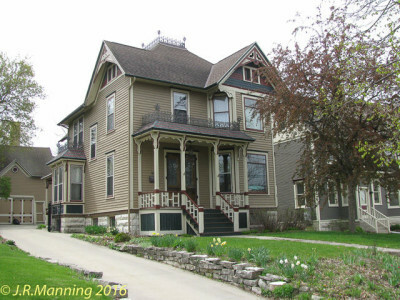 District Survey Form - The original application to the NPS for inclusion of the district on the NRHP with some descriptions of included properties. McCall Street Historic District - 30 supporting photographs from the original application. Note the changes since 1982!